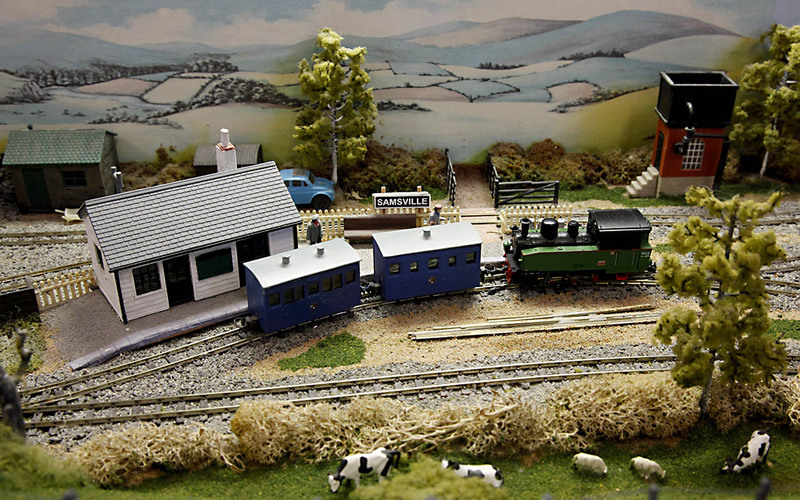 The Bedfordshire and Buckinghamshire Narrow Gauge Modellers held their annual Open Day in mid-May this year. I’m a keen member of the group despite the fact that I don’t live in either Beds or Bucks! 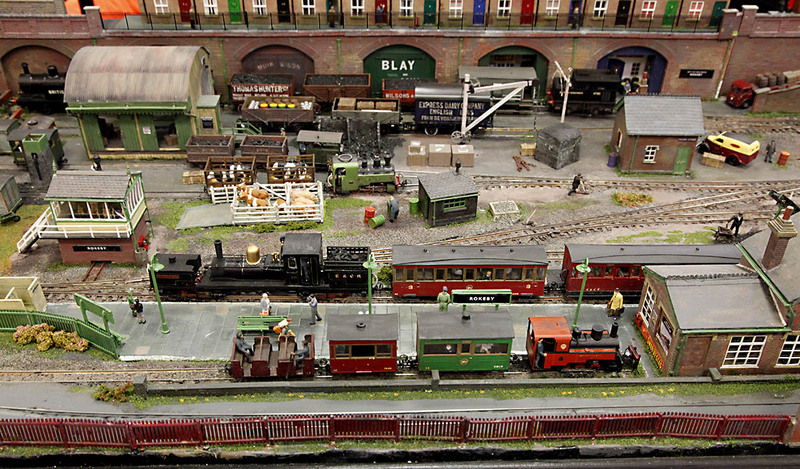 We had a super selection of layouts, trade stands and narrow gauge railway societies attending this year. Many, many thanks to all of the exhibitors and traders for creating a very diverse and very enjoyable exhibition. Special thanks must go to Brian Key the exhibition organiser, and all of the Beds and Bucks members and their families for pulling together to make everything happen. Plus extra special thanks to the catering team who fed a near record number of visitors with delicious sandwiches, cake and snacks throughout the day. A sterling job! I can’t think of much more to say so I will let the photos speak for themselves. At the top of this blog and below are some views of Achalraj by Malcolm Harrison. 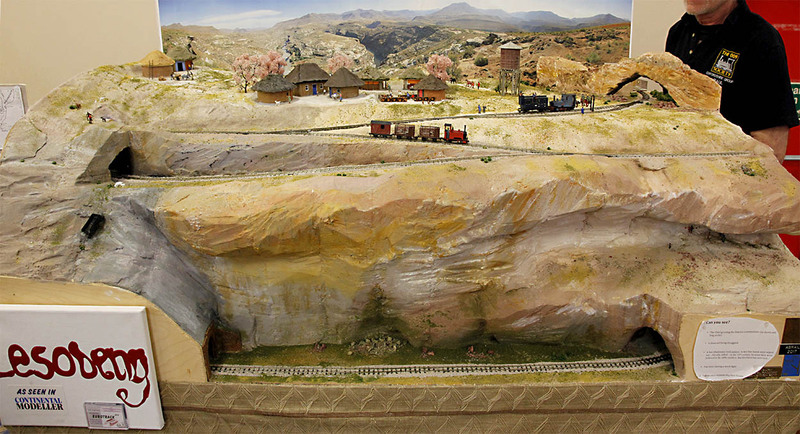 This 009 layout represents a small town in the foothills of the Himalayan mountains. (Pete, as promised, these are for you 🙂 ). 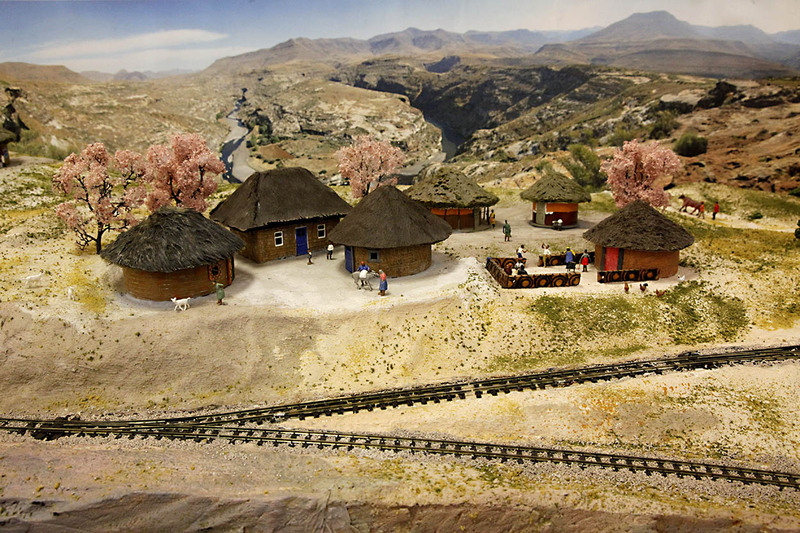 Lesobeng by Paul Spray is a fictional pair of lines in the mountains of Lesotho in southern Africa. The 009 stock ‘zig-zags’ to climb up the mountain. 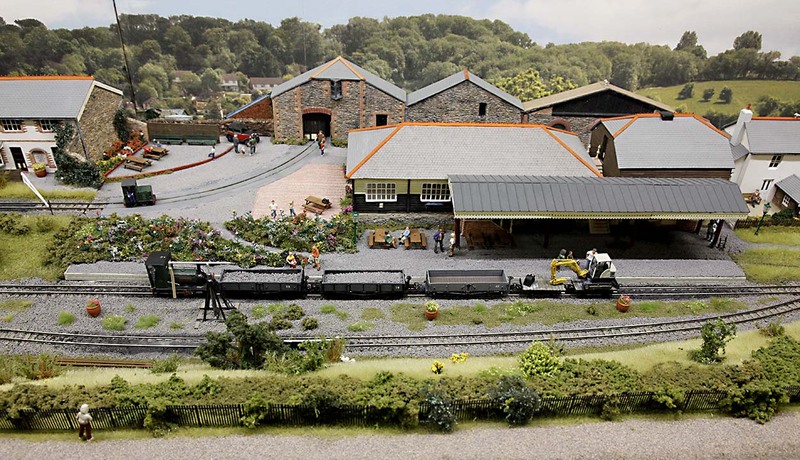 Launceston Steam Railway by Richard Holder, a lovely, large 009 layout representing the real 2 foot gauge Launceston Steam Railway in Cornwall. 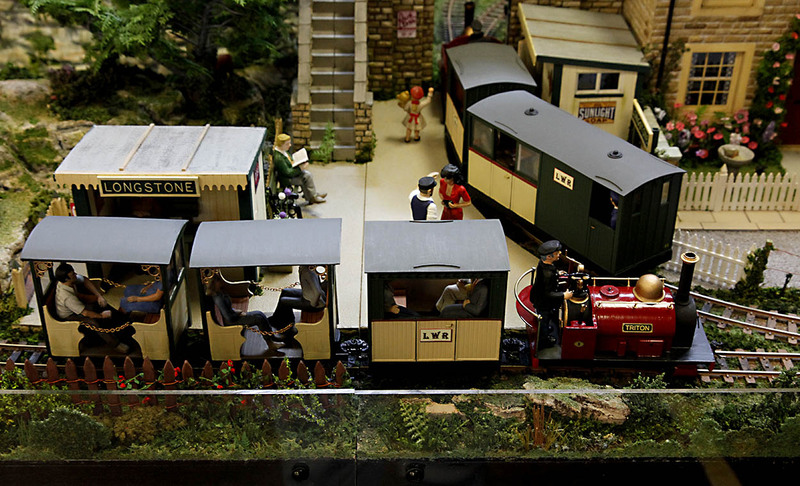 This layout was voted ‘Best in Show’ by the Beds and Bucks Members and received the ‘Mark Howe Award’. Farr End by Peter Cullen. 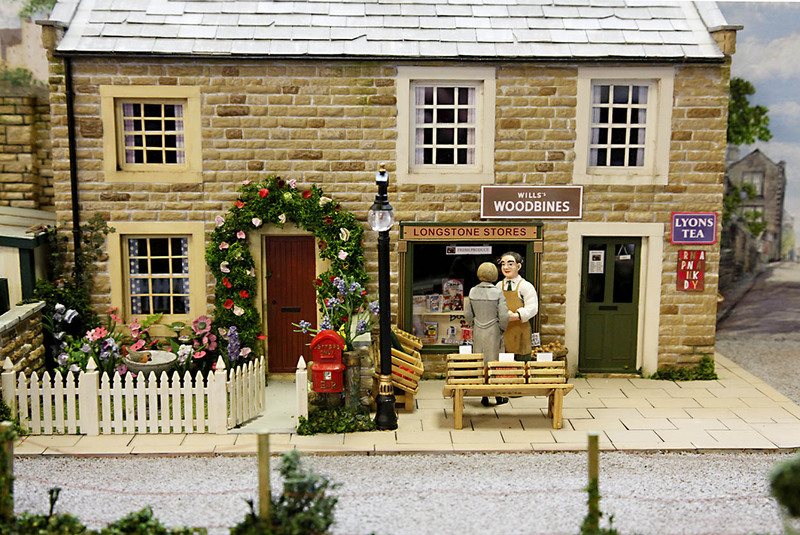 An 009 layout representing a small market town in Shropshire. Coleford by John Wilkes. 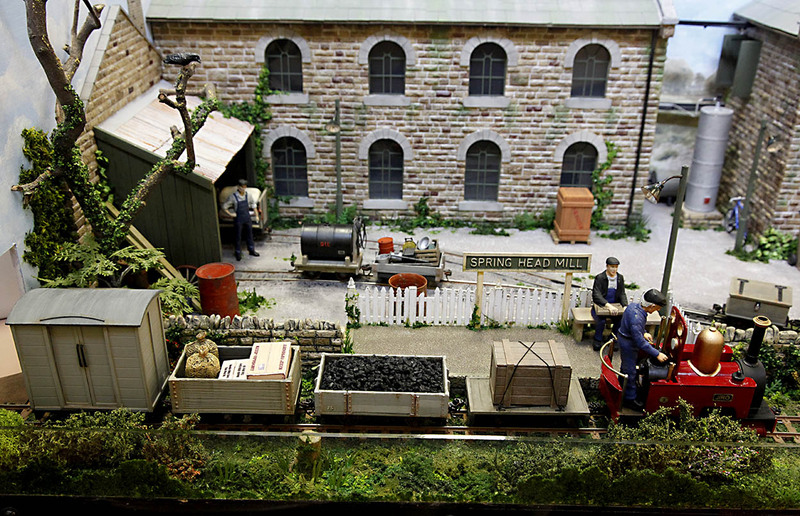 An 009 layout set in the Forest of Dean, where John has reinvented the 3 feet 6 inch gauge Monmouth Tramway as a 2 feet gauge railway. Angst-Lesspork another 009 layout with a fictional background. 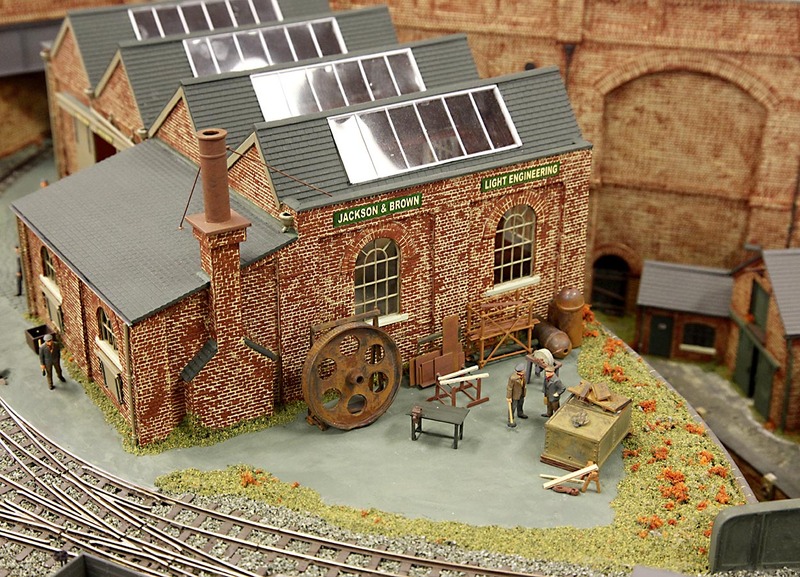 Hugh Norwood’s layout draws inspiration from the ‘Discworld’ novels of Terry Pratchett. 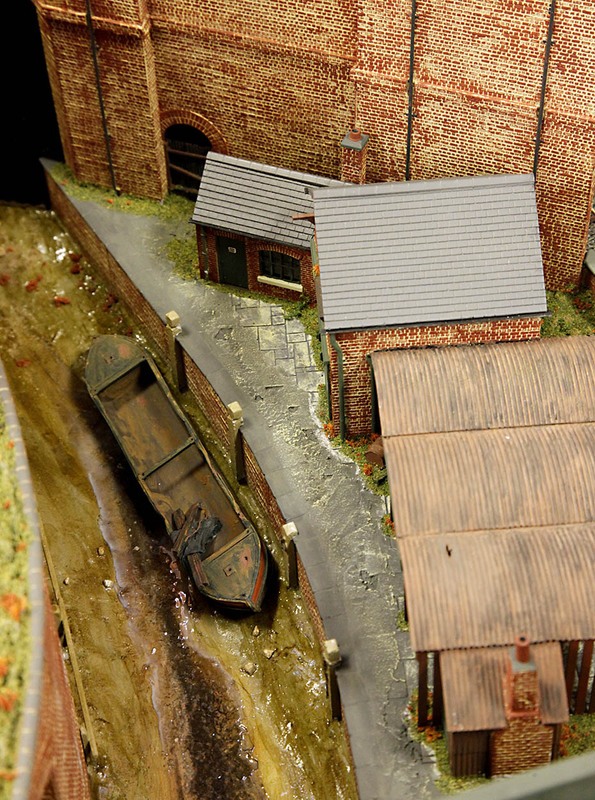 Bridges by Hugh Milward, an 009 layout I’ve enjoyed seeing develop over the last 2 or 3 years. It is an industrial setting with factories, a tidal inlet, tight curves and short sidings. My own layout ‘First’. An exercise in squeezing 009 onto a small baseboard. 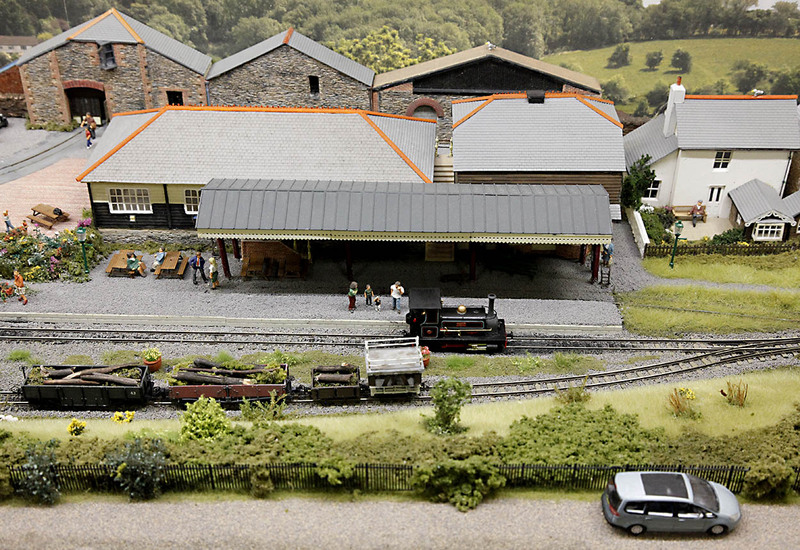 Many thanks to Stephen Sullivan and John Rees for skillfully operating the layout while I ate some lunch and visited the exhibition. 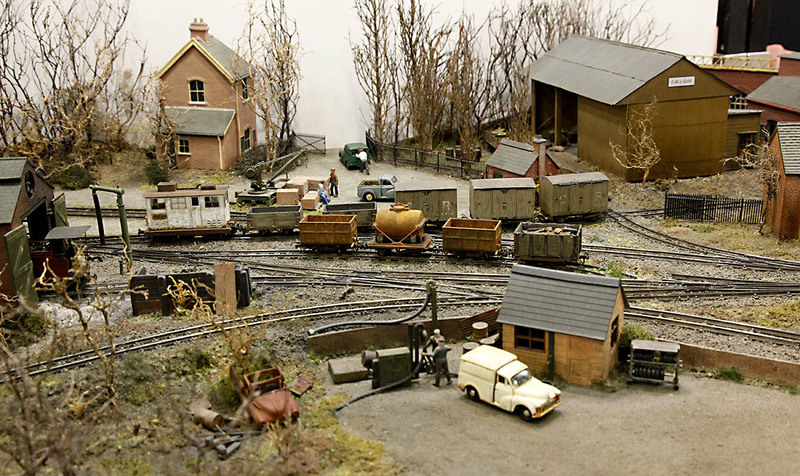 Rokeby by Peter Blay is a freelance narrow gauge layout set in 1948, a time of post war growth for the fictional line. Lovely locos in the second picture. 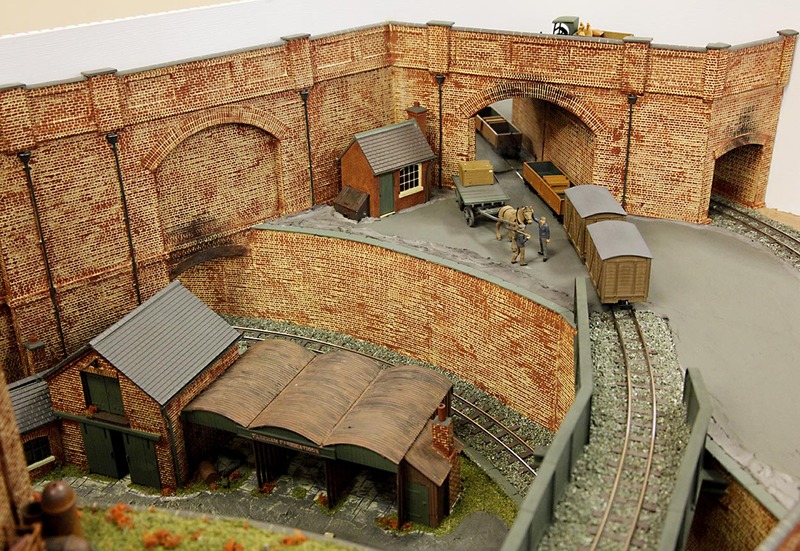 Samsville and Surrey Mines in 009 by Garry Edwards is a proposed but never built railway on the Welsh border linking the mainline GWR to various lead and coal mines. 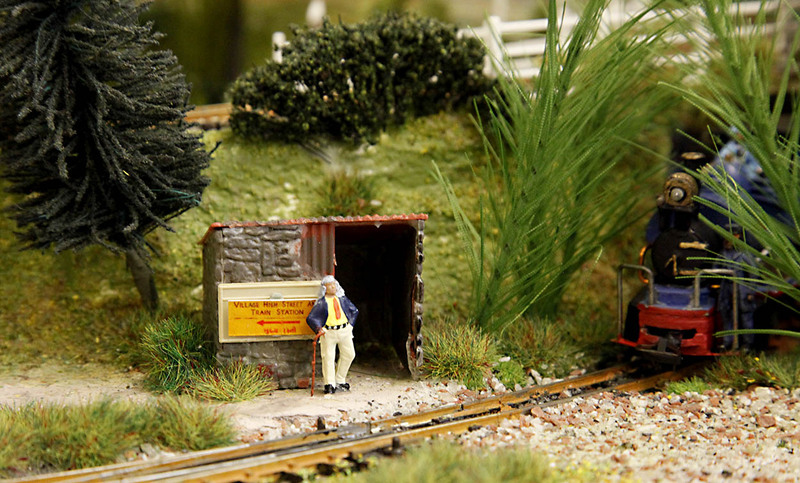 It features the narrow gauge main line and a short branch to the mining community. 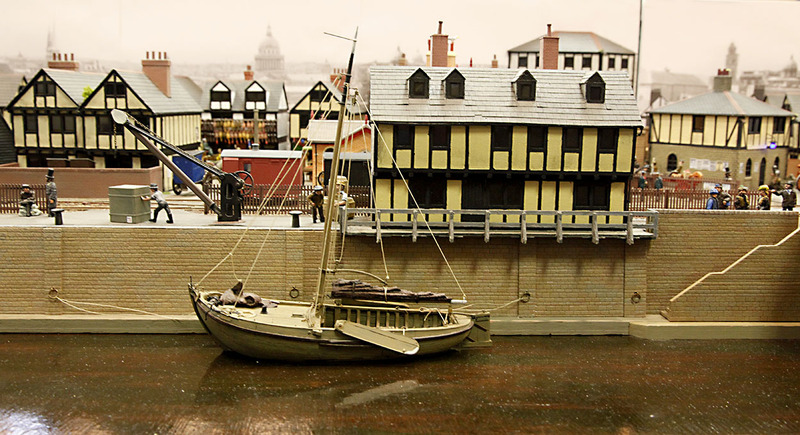 Moving to larger scales, St. Ozmond’s Bay by Chris Krupa is a 1:35 scale layout representing a small station on the preserved Moruna Island Railway. It’s alway interesting to see a ‘work in progress’. 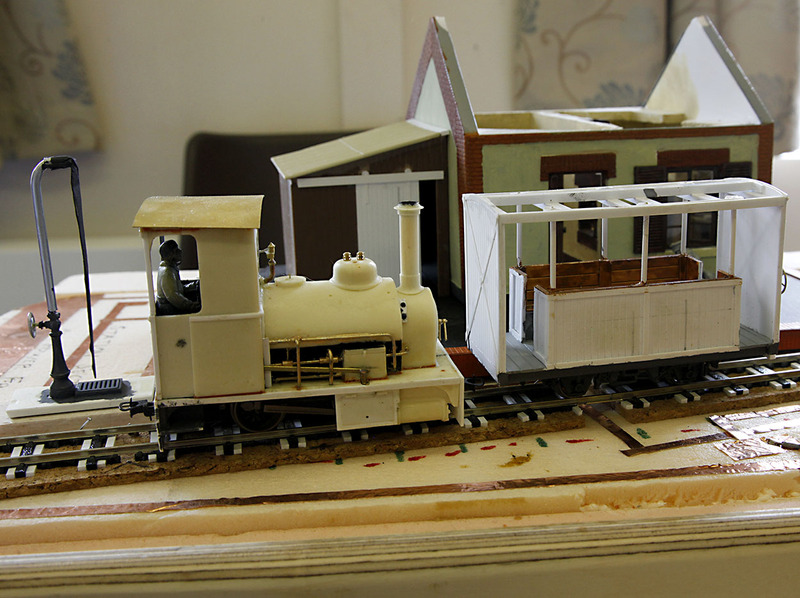 Note the foam baseboard, the modified Smallbrook Studio locos and the scratchbuilt rolling stock. 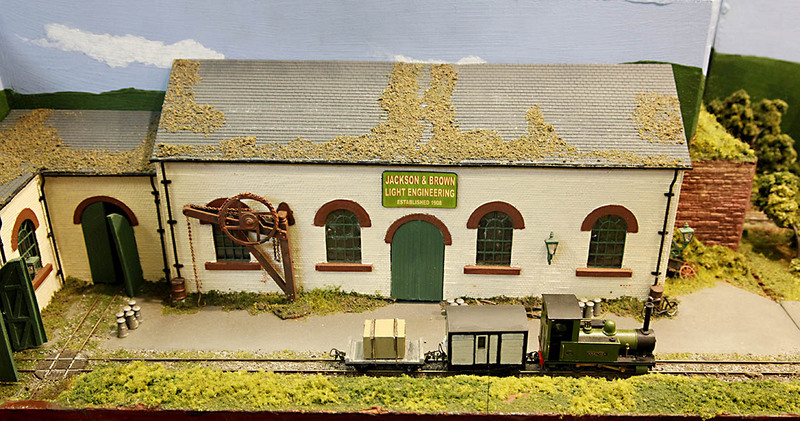 Longstone is Graham and Caroline Watling’s first exhibition layout in 1:24 scale. 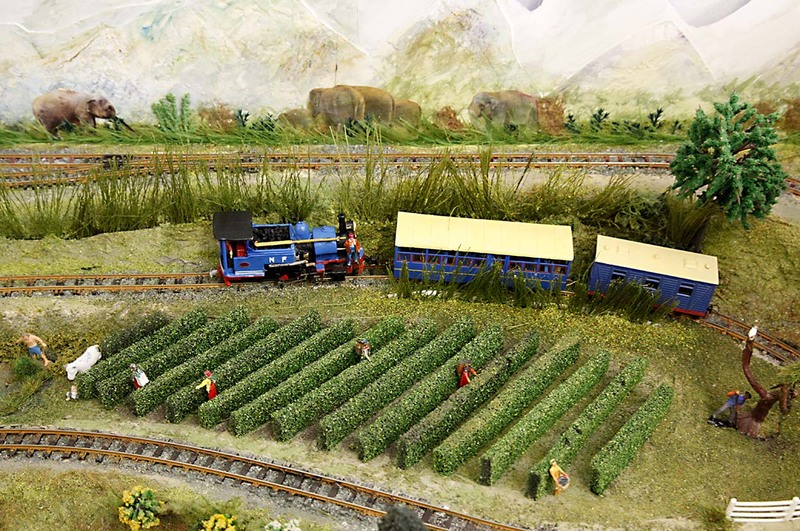 After modelling in 009 for over 30 years they created a fictitious 15 inch gauge railway in Gn15 with three different scenes all on one layout. 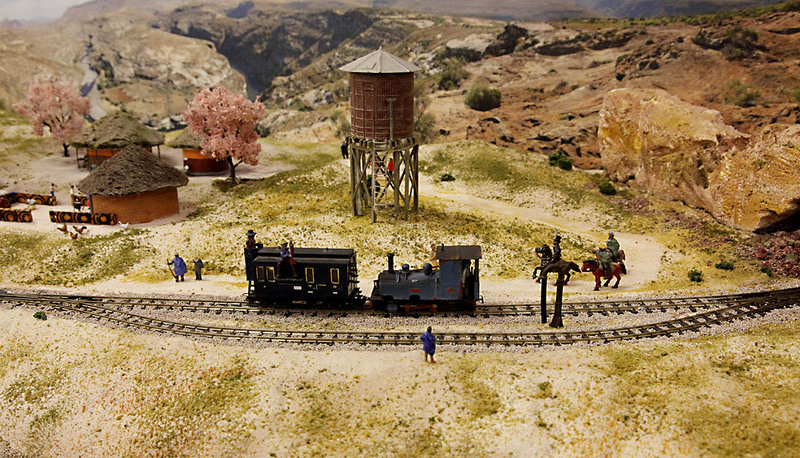 Finally, on Achalraj, Malcolm Harrison created a figure of a very familiar narrow gauge modeller. Thanks! Yes it was a lot of fun. I enjoyed it and I hope everyone else did too.